The BIOCOM project is based on the establishment of field and common garden experiments, the long-term monitoring of experiments already running, the development of modeling tools, and the synthesis of all the data gathered during the project. Below is presented a brief summary of the main topics covered by this research. For additional information, please contact the Principal Investigator of the project. 1.1) Impacts of multiple global change drivers on ecosystem functioning. 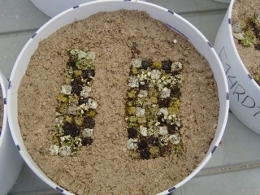 This manipulative experiment will evaluate, using a factorial design, the effects of biological soil crusts (presence vs. absence), nutrient availability (control vs. nutrient addition as predicted by current nutrient deposition models), temperature (control vs. increased temperature as predicted by current climatic models), and rainfall (control vs. a reduction in rainfall as predicted by current climatic models) on key ecosystem functions (Figure 1). 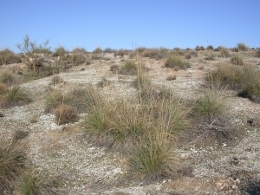 This experiment is being carried out in three semi-arid sites of Spain with well developed biological soil crusts (Figure 1; see www.soilcrust.org for more information on the importance of these organisms for the structure and functioning of drylands), located along an aridity gradient (see the Field sites section for additional information). Typical Stipa tenacissima steppe (left) in central Spain, where patches of this plant species are surrounded by a well-developed biological soil crust (white patches dominating the space between plant tussocks), and a close-up view of the lichens dominating this crust (right): Diploschistes diacapsis, Fulgensia subbracteata and Psora decipiens (white, yellow and pink thalli, respectively). 1.2) Determinants of ecosystem functioning along natural gradients. 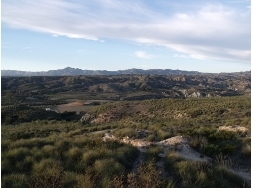 This observational study will evaluate how biotic and abiotic factors influence ecosystem functioning in representative dryland ecosystems of the world. As per today, more than 220 sites have been surveyed with the same methodology in drylands of Spain, Morocco, Tunisia, China, Peru, Israel, Kenya, Chile, Mexico, Venezuela, Brazil, Argentina, Ecuador, Australia, and the United States (Figure 2). This study will, for the first time, evaluate the relative importance of BSC, vascular vegetation and abiotic factors as drivers of ecosystem functioning with a global and standardized database. 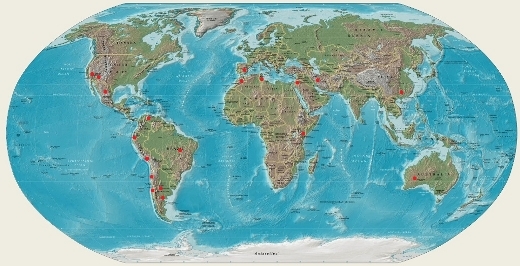 Map showing some of the countries and study sites where fieldwork has been conducted in the framework of the BIOCOM project. 1.3) Biotic attributes and small-scale heterogeneity in ecosystem functioning. 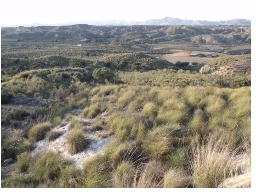 The principal investigator started in November 2006 an experiment where monthly measurements of soil respiration and seasonal measurements of nutrient cycling are being taken in 78 sampling points located in different microsites of a S. tenacissima steppe located in Central Spain (below S. tenacissima canopies, below Retama sphaerocarpa canopies, bare ground soil without BSC and bare ground soil with different BSC cover, richness and composition). This experiment aims to evaluate the relative importance of spatial pattern and other BSC attributes as drivers of ecosystem functioning. It will be continued during the five years of the project, so a long-term dataset can be obtained for the development of modeling activities (see below). 1.4) Restoration experiment. This experiment aims to test whether the results obtained from the previous experiments can be applied for the establishment of effective restoration and mitigation actions. It will be carried out using both BSC and vascular plants. The experiment will be carried out during the last two years of the project. A series of common garden experiments, using both vascular plants and biological soil crusts as model systems, will be set up to test for the independent effects of different biotic attributes on ecosystem functioning, and to test whether global change drivers modify observed biotic attributes-ecosystem functioning relationships. 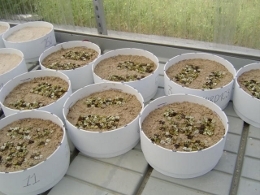 These experiments will be carried out in the plant growth facilities of the Rey Juan Carlos University (CULTIVE). 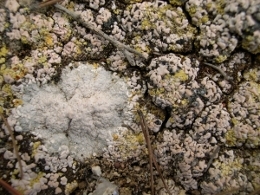 Examples of manipulative microcosm experiments with biological soil crusts. The data gathered in the field and common garden experiments will be used to set up predictive models of ecosystem functioning based on attributes of biotic communities, including spatial pattern and surrogates of biodiversity. A range of modeling approaches, including predictive and ensemble forecasting modeling, and global change scenarios will be tested to predict how changes in the attributes of plants and BSC biotic attributes may impact the functioning of dryland ecosystems under global change. The modeling activities will start during the third year of the project, once enough data from the field experiments become available. Together with the modeling activities, the data gathered from all field and common garden experiments will be combined with those of published studies to conduct different syntheses and quantitative meta-analyses. These syntheses will complement the scientific papers derived from the different experiments proposed, and will also facilitate the dissemination of the results obtained from the project.